Nenagh Town [Map Ref:] is the administrative centre for North Tipperary, and the tall castle tower which overlooks this attractive busy town is by far its oldest building, indeed its construction in the early 13th Century laid the foundation stone for the future development of this area as a fine agricultural market area. 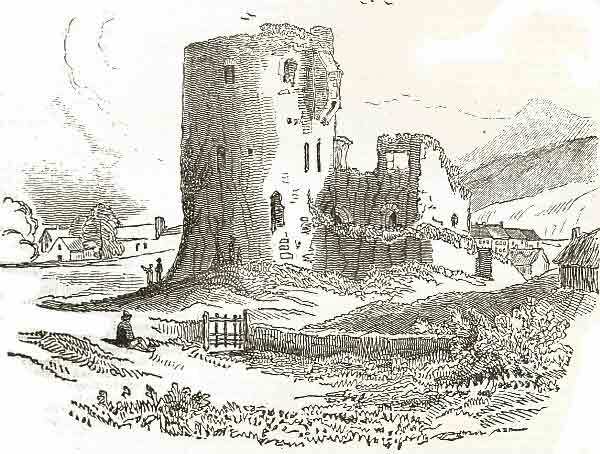 Nenagh Castle (Nth West view) Dublin Penny Journal, Volume 1, Number 38, March 16, 1833. 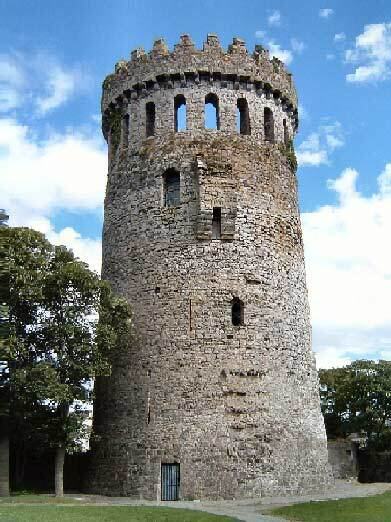 Nenagh castle served as the main seat of the Butler family until 1391, before they moved to Gowran, County Kilkenny, partially driven out by the native clan of the O’Kennedys and their allies. The family would later acquire Kilkenny Castle, [Map Ref:]which was to remain their main seat of power for the next 500 years. The existing tower or ‘Keep,’ (Latter a strong central tower used as a dungeon or more usually as a fortress.) or ‘Donjon,’ (From the French word meaning a keep, a derivative of the word dungeon, still used in France to describe some medieval monuments.) was originally one of a number of towers interspersed inside the curtain wall of the castle complex. The castle originally had four towers with a twin towered Southern gateway, and a tower on both the East and West sides of its courtyard. Fragments of the gateway still also remain and the remaining circular ‘Keep,’ positioned on the Northern corner of the pentagon, as stated, is still remarkably well preserved. Initially the castle contained four storeys, including a basement which was accessible only from the entrance storey on the ground floor overhead. At the base of the existing tower, the walls are approximately 16ft (5m) thick, while at the top the wall the thickness is just 11 feet. This diminishing thickness is accounted for by the inward batter of the walls and the offset, or setting back, at each floor level, which bore the timber beams supporting the floors. This tower was specifically built with strong defence in mind, with the walls at the base splayed outwards to protect against canon fire and tunneling, while also allowing for heavy missiles dropped from above to ricochet outwards upon any would be surrounding assailants. This latter statement is borne out by evidence of a ‘Machicolation,’ (Latter a floor opening through which stones, or other objects, could be dropped on attackers surrounding the base.) still visible in the wall. The tower is in good repair with a project currently under way to further develop the castle and its surrounding small parkland. The project, when completed, will position this castle as the main tourist attraction in this immediate area. History records that in 1332 prisoners from within the castle, over ran the castle complex, burning the gates, but were later recaptured and returned to their quarters. It was here, in 1336, that a peace treaty was signed between James Butler, 1st Earl of Ormond, and a representative of the Irish O’Kennedy clan. This treaty included terms of peace and grants of lands for this Gaelic clan. Note: Some 600 years later the original treaty was presented as a gift to John (Jack) F. Kennedy the 35th Irish – American president of the U.S.A., during a state visit to Ireland in 1963, and is now on view in the J.F.K Library in Massachusetts. Following this treaty in 1347 /8, the O’Kennedys, O’Briens and O’Carrolls would go on to break the treaty’s terms and unsuccessfully attack the Castle, burning the town of Nenagh. In 1550 the town and friary at Nenagh were burned by Irish clan, the O’Carrolls. 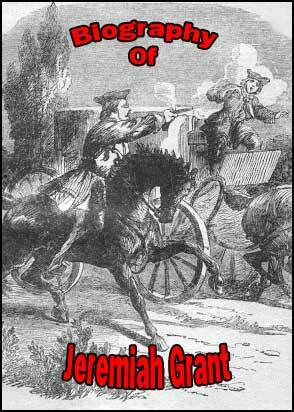 In 1641 the town was captured by Owen Roe O’Neill, but shortly afterwards it was recaptured by Earl Inchiquin. In 1651, the castle was battered from high grounds to the East, before its garrison, finding their defence untenable, surrendered to Oliver Cromwell‘s Parliamentary deputy, then in Ireland, Henry Ireton. Ireton is said to have caused the castles Governor to be hung out of the topmost window of this ‘Keep.’ Ireton himself died the same year in Limerick and on January 30th, ten years later in 1661, following the Restoration of the English monarchy, Charles II had Henry Ireton’s corpse exhumed and publically mutilated in a posthumous execution, along with those of Cromwell and John Bradshaw, in retribution for the signing of his father’s death warrant. (Charles I). Nenagh castle was also burned by Patrick Sarsfield (Of Ballyneety Fame,) in 1688, during the Williamite Wars. Indeed, following the Williamite wars, Nenagh castle was dismantled so that it would not be used again in any future conflicts. 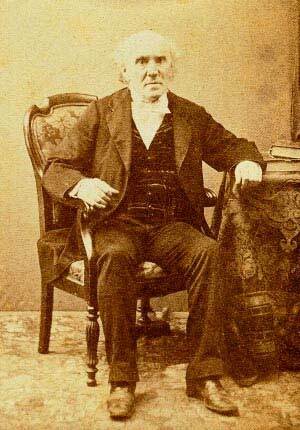 Nenagh castle comes into prominence again, when Bishop Michael Flannery initiated plans in 1860, to build a Cathedral in Nenagh, and sent a number of priests, including his cousin Fr. William Flannery (later Dean of Windsor, Ontario), to North America on a fund raising missions. Bishop Flannery purchased the site of Nenagh Castle and the surrounding land, and began to restore the castle in order to incorporate it into his newly designed Cathedral structure. Unfortunately, the development was substantially dependent on American funding, and was brought to an abrupt halt in 1861 by the unset of the American Civil War. Bishop Flannery’s plans saw the uneven top of the existing tower raised and dressed off with a new parapet wall. This added architecture is gracefully decorative, and includes a series of clerestory windows, beneath a corbelled parapet wall, ornamented with traditional stepped merlons or defensive battlements. The castle tower came to further attention some seventy five years ago, when a local stern Puritan, named Solomon Newsome, farming under the shadow of the tower, became annoyed by the numerous sparrows and other birds that assembled in the ivy then attached to the tower. These birds it seems were conspiring daily to steal his growing barley crop. Also desirous that the tower would no longer deprive his cabbage patch of bright ripening sunlight, he attempted to undermine the building, hoping it would fall. Failing in this endeavour, he decided to expedite the matter used a barrel of gunpowder, which to the great astonishment of local townsmen, when ignited exploded, making a huge hole in the towers side. His attempts at demolition were however to no avail, other than to set alight the clinging ivy. Today, apart from this Castle and Friary, most of Nenagh’s buildings date from the mid 18th century to present date.